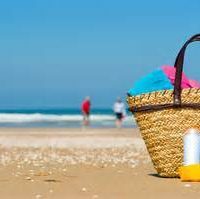 For years we have been told to cover up in the sun to cut out the risk of skin cancer, but now it seems a little bit of sun is good for you! A sensible amount of sun reduces your risk of several serious health conditions. this is all thanks to vitamin D, it is made in our bodies through the action of the suns UVB rays. It is essential for absorbing calcium, keeping our bones healthy, and protecting against osteoporosis, Type 2 diabetes, and multiple sclerosis. Vitamin D can also be found in the foods we eat, such as oily fish, eggs, milk and fortified breakfast cereals, but most of us don’t eat enough to get adequate amounts, leaving the sun as the primary source of this important vitamin. Ways the sun can improve your health. Sunshine boost levels of serotonin, the bodies natural happy hormone, that’s why we feel happier and more energetic when the sun shines, exercising outdoors creates more endorphins than exercising indoors, helping with moderate depression, such as Seasonal Affective Disorder (SAD). 15 minutes a day in the summer or an hour in winter months can be beneficial. Being out in the sun eases the bodies muscle stiffness and reduces inflammation in conditions such as arthritis. 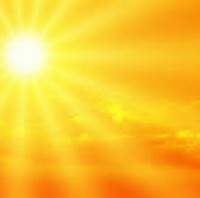 Sunlight boosts testosterone levels in men, and reduces levels of melatonin which suppresses fertility, so its more likely you will conceive in summer. Skin conditions, such as acne, psoriasis and eczema can improve with 30 minutes exposer before putting on the sunscreen. White blood cell production increases and helps boost your immune system and helps flight infection. Research has shown that women with polycystic ovaries, are more likely to be deficient in Vitamin D, as have people with Crohns disease or inflammatory bowl disorders. It takes, 10-15 minutes to produce Vitamin D, between the hours of 10-3pm in the UK for fair skins, it takes black and Asian skins six times longer. Never over do the sun. The amazing benefits of the sun can be undone through sunburn and excessive exposure. This will increase your risk of skin cancer. 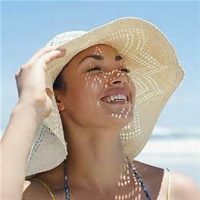 Make sure to cover up and apply sunscreen after your initial 15-minute vitamin D-boosting burst. So what is the safest way to achieve a tan? First take note t hat SPF stands for sun protection factor, it indicates the length of time you can stay in the sun without burning, so for example, SPF 30 sunscreen would provide 30 times the protection of no sunscreen, that’s 5 hours but reapplying every one to two hours is recommended especially if you are swimming and sweating. SPF numbers are not exact, blonds and red heads will need to be extra careful. If sunscreens trigger sensitivities and breakouts, then switch from chemical to mineral sunblock’s, there are many natural alternatives on the market. If you have oily skin don’t use an SPF more than 20; otherwise you risk overloading your skin with chemicals and more oil. Sunscreens labeled as Oil-free are more suitable and won’t clog the pores. Don’t forget the lips, they have almost no collagen and can burn very easily, so always buy a lip balm with a SPF sunscreen. Atapa Snana is the yogic phrase for the healing science of sun bathing. 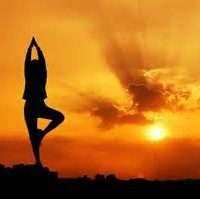 We should remember that ancient yogis and many other cultures knew how to use the sun to heal all kinds of illnesses, and bring out radiant health! Louise Green, CThA ITEC, owner Vidatherapy Spa, Clinical beauty therapist, Aveda skincare specialist.